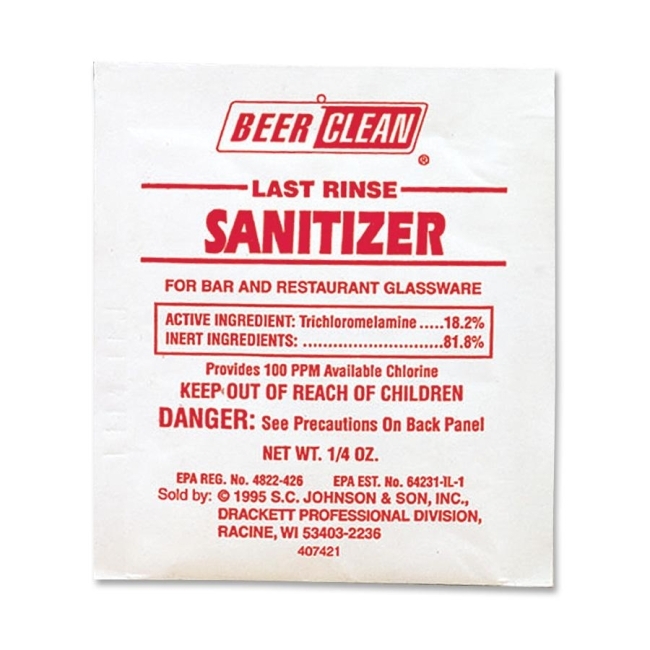 Last Rinse Sanitizer is designed for bar and restaurant glassware and comes in a convenient 7 gram packet. 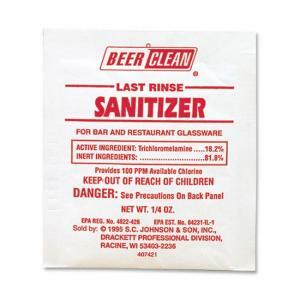 Powdered compound contains trichloromelamine (TCM) for effective sanitization of bar glassware. Laboratory-tested sanitizer kills E. coli and Staph and delivers 100 ppm available chlorine. Dilution ratio is 1:536.